APRA’s intention is to close an observed gap in the board’s engagement on information security and increase safety of consumer data. On 1 July 2019 APRA’s new standard, CPS 234 will be enforceable. This will require your organisation to further develop its cyber capability rapidly in a skilled constrained environment. 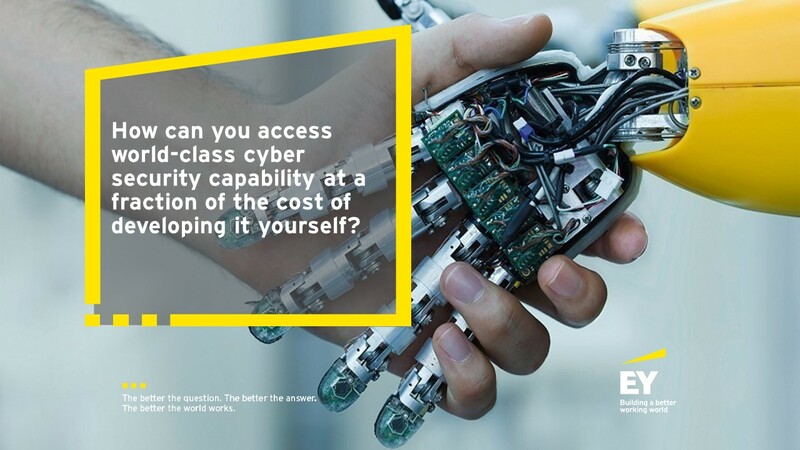 EY suggests that a better alternative is to access highly-skilled cyber resources from a trusted provider, to work alongside your existing team. Effectively, you are provided with a virtual cyber security team with a broad range of skills to help you first mitigate existing cyber risks and then measure, manage and provide assurance on those risks on an ongoing basis to CPS 234. Contact us to learn more about how EY can help you with your ongoing compliance obligations. Would your business grind to a halt if a director were incapacitated — or even just on holiday — and unable to sign essential documents? We recently saw a five-minute process take a week; having to wait for a company director to return from elsewhere in the country because no one in the office had the authority to sign the documents. A simple power of attorney empowering an alternative signatory to sign on the director’s behalf would have saved time and money. The default option for many documents is to require a director’s signature. Although the company constitution might designate alternative signatories, the default option can lead to bottlenecks. It can also tie directors up unnecessarily in routine admin when there is someone equally — or more — qualified to assess a particular document and sign it. 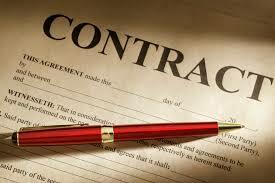 The easy solution is a power of attorney that extends the authority to sign documents beyond the company’s directors. This extension can be tightly limited; it need not be a licence to sign anything and everything. You can extend the authority to named individuals or someone who isn’t explicitly named but who holds a particular position, e.g. the general manager at the time the signature is required. The latter option is useful for continuity of company affairs as people change roles. The power can be enduring or limited to a particular time — the duration of a director’s absence, for instance. You can restrict the power to certain types of document. You might, for instance, want an employee to be able to sign a lease but not loan documents. 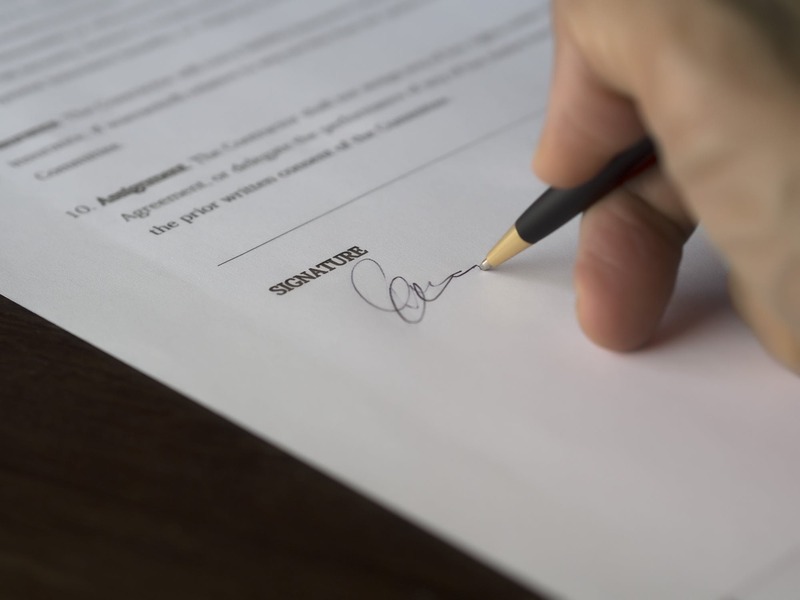 If your organisation often has documents requiring a director’s signature and you don’t have directors in the office at all times, you should consider a power of attorney. You should take legal advice in preparing a power of attorney. Not only do you want to be sure it’s valid, but you also want to scope and limit the authority appropriately. Powers of attorney are generally straightforward for lawyers to set up, which means they’re cost-effective answers to what can be costly delays. Those delays can arise either because the director isn’t available or because a document is found later to be invalid because the wrong person signed it. Ultimately, powers of attorney should be given only to people who need them and whom you can trust. The attorney doesn’t have to be employed by the company. You can appoint your accountant, your lawyer or anyone else. In considering whether you need a power of attorney, you should consider not just your everyday circumstances but business continuity. Would your business grind to a halt if one or two people were out of action? If you think a power of attorney would be a good answer for you, the next step would be to take legal advice. In business as in life, not every relationship ends well, the pain isn’t shared equally and the whole thing could have been predicted. Unfortunately, the relationships between shopping centres and credit unions fall into these categories. How much more you’ll be paying in rent than you would pay to be somewhere else. Credit unions have a great deal to offer shopping centres. They’re reliable tenants with halo brands — they lend prestige to the shopping centre. On the face of it, shopping centres have something to offer credit unions in the form of high traffic. But that offer needs to be broken down. Sandwich shop economics: On weekdays, shopping centres are busy only at lunchtimes. Like a sandwich shop, you’ll need ample staff to maintain acceptable waiting times during the rush, but there won’t be much for those expensive staff to do the rest of the time. Weekends and late nights: On top of the economics of over-staffing a branch to handle lunchtimes, you’ll have to staff it at the weekends, too. Even if it all works out well for both parties, the relationship between the credit union and the shopping centre has to end. That date is written in your lease and the lease won’t have come with an option to renew. If you want to stay, everything will be up for renegotiation. The incentives that brought you into the relationship will be long gone. Unless you’re willing to walk away from the location, the landlord will be holding all the cards, including a non-negotiable demand that you refit the branch. That refit cost is likely to be in the hundreds of thousands. The landlord will usually want a complete front-of-house refit, one that is extremely unlikely to improve turnover in the branch. It’s just an extra cost with no revenue lift. Going in with your eyes open. Work with an expert who understands all the inputs that should go into an informed comparison of potential locations. Work with an expert who deals with shopping centres all the time because they’ll have more access and greater bargaining power. Have a Plan B if your lease is coming to an end. You stand a better chance of negotiating favourable renewal terms if you’re prepared to walk away. If the landlord knows you have nowhere to go, your negotiating position is compromised. To Put Out to Tender or Not to Put Out to Tender — When is direct negotiation with a supplier the better option? There’s always a choice in a purchasing decision. Get the choice right and you get the best price. Get the choice wrong and you might not just pay over the odds: you could damage your reputation in the market at the same time. Tenders promote competition. That’s a benefit so obvious that it obscures and easily overlooked pitfall. We’ll discuss that in a second. In markets where there are innovations and technological advancements happening, a tender process can be a way to see what new ways of working could be opened up by different suppliers. Organisations — particularly those in the public sector — often favour tenders where even the appearance of favouritism or corruption is a problem. They might not be the better commercial choice, but they're necessary. Tenders work best where you can be clear about what you need. The more detail about your specifications that you can put in a tender, the easier it is to make like-for-like comparisons between bidders. As well as being a powerful way (in the right circumstances) to get the best value for money, tenders give suppliers a fair chance. A fair go for suppliers might be a significant consideration if you’re operating where support for the local community — and local businesses — is key to your corporate social responsibility. Where you’re tendering for an ongoing need, you can’t afford to have a gap between the end of the current contract and the new supplier being at speed. Your current supplier might not win the tender — they might not even bid. A gap between the incumbent’s exit and the winner’s arrival could have serious business implications. Because tenders are designed to promote competition, they’re a poor choice in mature markets where there is little competition, particularly if one or two players have significant market power. Where there is competition, bidders are encouraged to submit their best prices. Where bidders know there will be few other contenders — and perhaps none or few as qualified as they are — they don’t have such an incentive. Dummy tenders are tempting. You put together a tender, invite suppliers to bid and get a sense of the market price without intending to appoint a winner. However, when suppliers find out the tender process was fake, your reputation will be damaged. Future tenders — or even direct negotiations — could be compromised. And often, suppliers have been burned before. If they suspect a dummy tender, you might think you’re polling the market accurately when in fact you’re not getting bids from the best candidates. The market is mature (high barriers to entry, few new entrants, players with significant market power, not much innovation happening). A specific player in the market has a competitive advantage that you’d like to take advantage of. The cost of bringing in a new supplier would be very high. A new supplier might require a significant investment of time and resources to get them operational. Systems might need expensive changes. Tenders are more laborious to administer than direct negotiations. You have a good relationship with the incumbent. Textbooks paint scenarios so it’s simple to decide whether to run a tender or opt for direct negotiation. Real life is messier; factors point in both directions. Maybe the market is highly competitive (good for a tender) but there’s a particular player you’re keen to do business with (option for direct negotiation). Perhaps time is running short (pointing to a need to negotiate directly) but it’s important to appear fair and transparent (signals for a tender). Procurement professionals are trained for real life. They know how to calculate the total cost of ownership of a deal and use that to help decide which way to go. They have access to market intelligence that will also inform the decision. If your contract is worth at least $100,000 annually (or is lower value but high risk, like a critical IT system), consult with a procurement professional to make sure you’re taking the strategic approach. HR professionals know how easy it is for recruitment costs to balloon, which is why many are choosing a mechanism that increases value and lowers costs. A well-managed panel of recruiters will also contribute positively to your organisational culture and increase transparency in the organisation. Internal HR department—no ad hoc negotiations with untested recruiters; complete visibility over the people you're recruiting into the business and how many contractors are onboard (and need to be insured). Hiring managers—no doubt about which agencies to use and how the process works. When all your recruiters share service level agreements (SLAs) and key performance indicators (KPIs), it’s easy to compare value and performance. Putting together a panel signals your intention to manage suppliers rigorously and in competition with each other. It’s also binary for suppliers, which improves your negotiating position: recruiters know they won’t lose out only on some work if they’re not competitive; they’ll get no work at all until the next time you review the panel. Also, the improved visibility HR gets of who is in the business means it will be aware of all contractors engaged within the business. Those who remain a long time can be targeted for offers of permanent roles that offer benefits to both parties. A well-configured panel can bring in regional, national and even international expertise to give you access to as many talent pools as possible. This makes the search for the right candidate more efficient and cost effective long term. Every organisation has a different culture, and HR professionals are highly conscious of the need to nurture the positives in that culture and to weed out anything that threatens them. 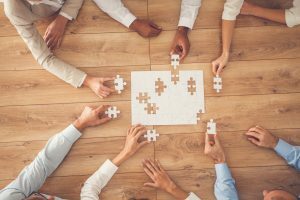 Working with dozens of recruiters filling roles, you won’t be working with recruiters who truly understand your cultural fit, which means they won’t be properly recruiting for cultural fit. A weak panel is arguably worse than no panel at all. You’ll be limited in the recruiters you can use without getting the benefits you were hoping for. There are some steps to take to ensure your panel arrangement delivers results for the business. Recruiters are a business tool, so you need to consult with the business about what they need from recruiters. Procurement experts work with hiring managers to look at the talent requirements in the business. By understanding the demand and supply in different functions, we can select recruitment agencies that are well-matched to filling roles in those business functions. By consulting with the business so the agencies on the panel match business needs, HR is less likely to face requests for exceptions because a hiring manager thinks an off-panel recruiter is the right fit to fill a role. Developing SLAs and KPIs for recruitment is complex because many of the factors involved are qualitative. It helps to work with someone who has experience in translating the recruitment needs of a business into standards to which agencies can be held accountable. Developing a reporting format should also be part of the process. Agencies on the panel will be expected to report in this format, which will give HR excellent visibility of recruitment in the business. Again, this should be a consultative process, so the reporting is useful throughout the business. It’s possible to invite tenders from anyone in the market or to take expressions of interest then choose whom to invite. Our recommendation, however, is to work with an expert with insight into the market. Use their knowledge combined with your own and your hiring managers’ to invite only the best candidates to apply for the panel. Make sure every question in the tender document relates to these qualities. Compare the applicants against the same criteria. Add to the panel only suppliers who score above a pre-agreed level. It’s a good idea to have HR and procurement score the applicants separately and take an average. However, if there’s a wide deviation between the two scores for a particular agency, that should trigger a conversation about the scoring. The goal of a panel is to manage suppliers to an agreed standard. Staying true to the goal of forming a panel requires building in further consultation once you form the panel. 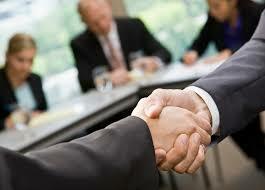 Procurement consults with hiring managers and HR to make sure suppliers are living up to expectations. If they’re not, they should be sidelined or replaced. No one knows better than HR professionals that people are the business. Getting recruitment into a systematised and well-managed arrangement with a collection of best-in-class recruitment agencies is a sure step to defending your culture, lowering your costs and increasing your transparency and measurability. When a software glitch during an upgrade brought down Woolworths’ cash registers, shops around the country had to close. The company had no way to collect payment, and shoppers with full trolleys were asked to walk away. It was another reminder that IT is the nervous system of every business. When it fails, the business fails. And as every CIO knows, the pace of change isn’t slowing, which means the IT roadmap is more critical than ever. So what are the ingredients of a future-proof IT roadmap? The roadmap’s description of the company’s future state needs the size the company will be and where it will have locations. 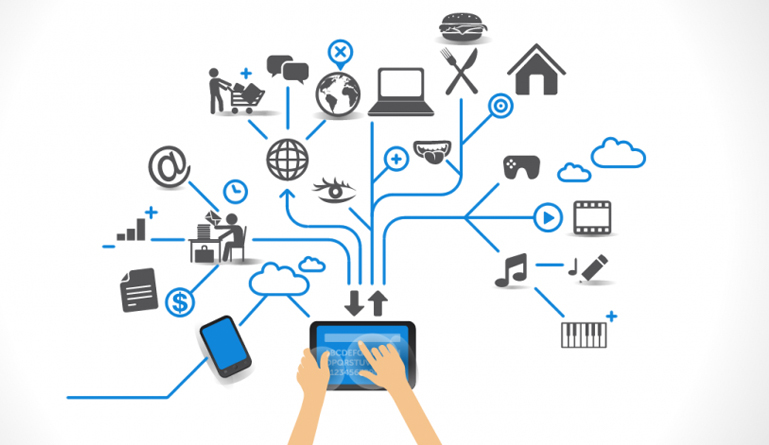 It also needs to consider whether hardware will need to have the capacity to be updated, for instance, to make it cloud compatible in the future. Many new applications are cloud-based, and regulation demands that they are hosted on shore. The cheapest solution today might not deliver the cheapest cost of ownership if it’s not scalable or adaptable to the future state. Sometimes an IT upgrade is a matter of a like-for-like replacement. A server might just be swapped for a faster one, one with more capacity or both. But every investment is made to solve a problem, and nowhere more than in IT is it possible that new ways to solve that problem have been conceived since your last investment. Once the roadmap process has identified a problem, there should be an investigation of possible solutions, not just a pricing exercise for the latest version of the old solution. Leasing, buying, renting… Every model has pros and cons, different business impacts. The IT roadmap needs to include internal and external analysis. Contracts should be reviewed, and external benchmarks checked, to determine the optimal purchasing strategy. There is a trend towards questions of configuration rather than customisation when it comes to software. Customisation tends to be complicated and, expensive. It takes people and resources to maintain customisation where relying on appropriate configuration out of the box is leaner. Customisation can also stifle the upgrading process because upgrades are usually for out-of-the-box solutions. Also, when choosing software, there is the apparent need for an investigation of compatibility. Systems that don’t talk to each other are a costly drain on the most expensive resource for most businesses—staff time—and they lead to a higher rate of errors. Software, like hardware, might need to be scalable if growth or right sizing is on the agenda. It’s important to understand what the contract says about user seats—whether, for instance, there are limits on the numbers of concurrent users—and expectations regarding support and frequency of upgrades. Your IT roadmap should discuss your security plans, and whether you plan to test your defences. It’s important to have a security policy developed by an expert. That policy will be the standard against which your IT procurements are assessed. Do they meet your parameters for risk, for instance? Offices might still be aiming for paperless, but people less isn’t even on the radar for IT. You need people to install, maintain and support your systems, so your roadmap must look at the capabilities of the people you have. Do they have the knowledge they need to do what’s required today? And do they know how to do what will be required within the horizon of your roadmap? If there are gaps, can they be addressed by training or do you need a recruitment strategy? An avenue of efficiency that should always be explored is whether your top suppliers can provide more services than they are. Consolidating suppliers often delivers better value through streamlining services into a single contract for efficiency and transparency. And of course, buying more from one supplier creates opportunities to negotiate better pricing and quality of service. A comprehensive IT roadmap brings together the business strategy and the vision of the CIO and the IT department about how to support that strategy. It’s built on research into what’s possible and what’s being done in the industry. 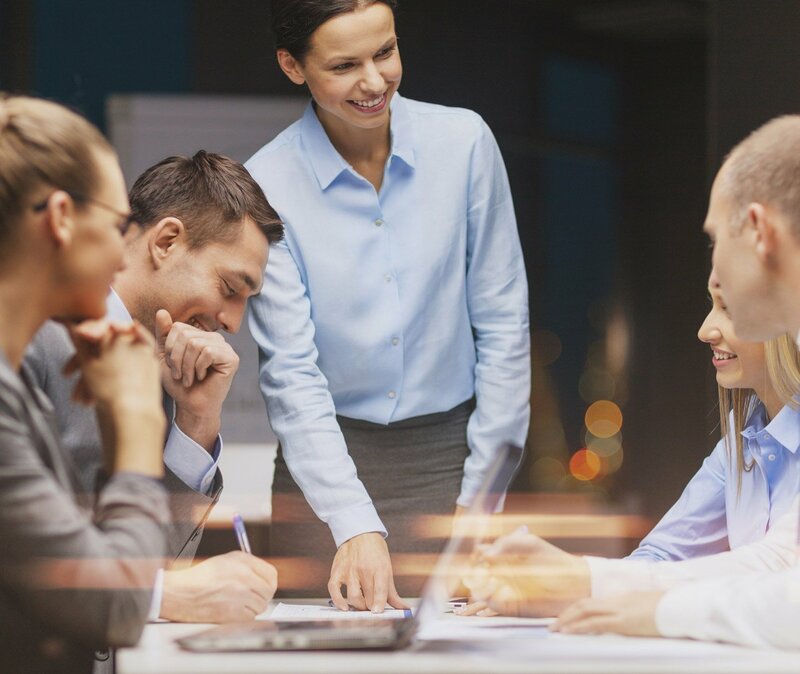 We have extensive experience in aligning management plans to the IT roadmap to facilitate painless execution and procurement. We know how to bring diverse business units into the discussion about the vision, and how to present the particulars of the options available. The rent for a retail space is the usually the number that’s front and centre when negotiating with a landlord. But the spotlight on rent makes it easier to miss significant costs that might be hiding in the shadows. These are just five of the clauses you might overlook while you’re focussing on getting rents down. 1. How often will you have to refit your branch? Landlords want their shopping centres looking good (and so do you), but what does that mean regarding how often you’re expected to fit out. It could be as often as every 12 months and cost hundreds of thousands of dollars. You expect every lease will have a make-good clause; otherwise, tenants could just walk out at the end of the lease, throwing the keys over their shoulders. But there’s good, and there’s good as new. If you’re not careful to specify a standard during lease negotiations, you might find yourself agreeing to onerous terms. We’ve seen landlords try to mandate putting in glass that has to come from overseas or lavish floor coverings. Seemingly simple clauses can cause headaches for credit unions and mutuals. A common clause may restrict putting anything in the tenancy shop glass facing the mall. Sounds reasonable until you consider that could prevent you putting in an ATM. Malls are open when credit unions and mutuals usually are not—weekends and late nights on Thursdays. For obvious reasons, landlords would like all their tenants to be open to ensure there’s as much going on as possible. If that doesn’t work for you, it’s something you have to deal with during lease negotiations. In addition to your rent, landlords will expect contributions to other aspects of running the mall. When you know what to look for, you know what to specify in your lease as included (and to be covered by an auditor’s report). We’ve seen tenants unwittingly agreeing to or paying for things through outgoings that weren’t agreed, such as structural repairs and capital items (assets) and some statutory costs when the landlord will have the ongoing benefit of these, not necessarily the tenant. It might seem like your options are limited when you want space in the limited number of malls that offer high foot traffic and a brand aligned to yours. But it cuts both ways. Mutuals and credit unions are desirable tenants, and there are ways to use that to your advantage when you know how. 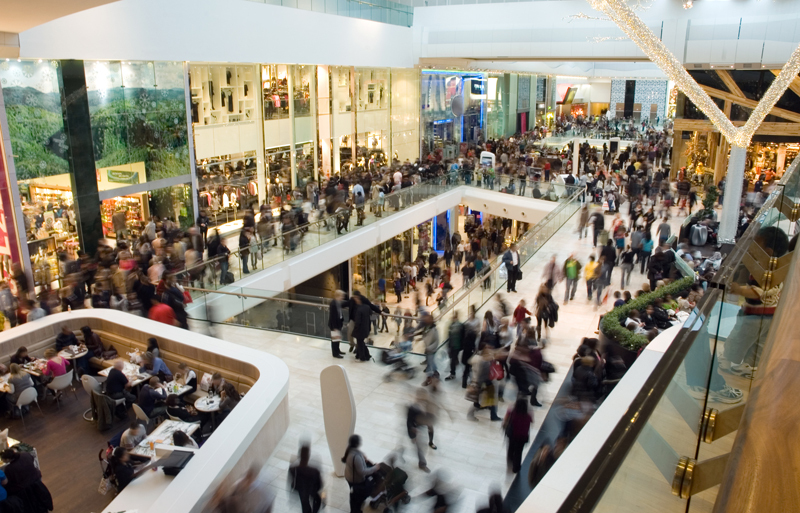 It can take a whole team months to negotiate efficient, cost-effective leases in shopping centres. The key is to make sure you’ve got people on your team who know where to shine the spotlight, what to do when they don't like what they see and how to avoid excessive legal costs down. If you’re thinking about negotiating with a landlord for a retail lease for your mutual or credit union, contact us to find out how we can keep your costs down—both during the negotiation and throughout your tenancy. © Taleist 2018. All rights reserved. See your contract for licence details if applicable. Procurement company Mutual Marketplace today announced the successful acquisition of Indue Limited’s property management business, which procures and manages office and branch properties for credit unions and other mutual financial institutions. This strategic acquisition creates exciting opportunities for Mutual Marketplace to grow its nationwide platform and support Australia’s broad network of Mutuals with professional source-to-pay services into the future. Since its inception 10 months ago − as a joint venture by two of Australia’s largest credit unions People’s Choice Credit Union and Credit Union Australia Limited − Mutual Marketplace has been consistently delivering improved procurement outcomes to the mutual sector. The acquisition of Indue’s impressive property portfolio will further strengthen the company’s mission to deliver practical solutions across the procurement process by delivering best practices that yield positive results and drive savings. The purchase of Indue’s property management business, renamed Mutual Marketplace Property Pty Ltd, opens up countless possibilities for Mutual Marketplace to expand its activities into a large diversity of categories, building on what Indue has achieved while providing additional value for customers. Meeting their new customers is a priority for the team at Mutual Marketplace. A national roadshow is scheduled to commence on Monday 5 March to share the company’s vision and methodology.